One of the many striking things in this building is its upper-storey rear façade. With the reflective stainless steel finish, it seems to just disappear into the sky. This move allows the ground floor addition to the heritage building to shine in its very own right, and to showcase a beautiful interpretation of modernist architectural values. In line with this Miesian approach, the materials palette is kept simple and clear: concrete, steel, and glass define a vast unobstructed free-flowing interior, and connect inside and outside. Carefully considered detailing is true to the nature of these materials. The interiors themselves are an extension of the building design: they are comfortable and beautiful inviting spaces. In fact, all aspects of this building show a set of highly skillful hands, from interiors to design, from restoration to integration, from planning to execution. An impressive design response to the heritage building, confident yet respectful of its relationship with the environs and landscape, this building is a real standout and shows true excellence in building design. Congratulations, Killara! The restoration of this stately 1850’s home wrestled from the hands of developers demonstrates a clear value and respect of the original building’s materials and building methodologies. 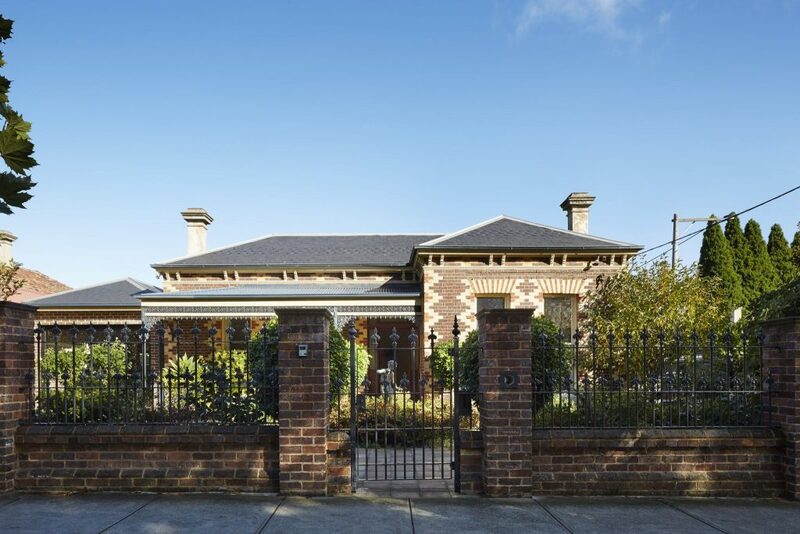 Attention paid by the designer to the marrying of new and old has rewarded the owners with a beautifully detailed heritage home for future generations to admire and enjoy. 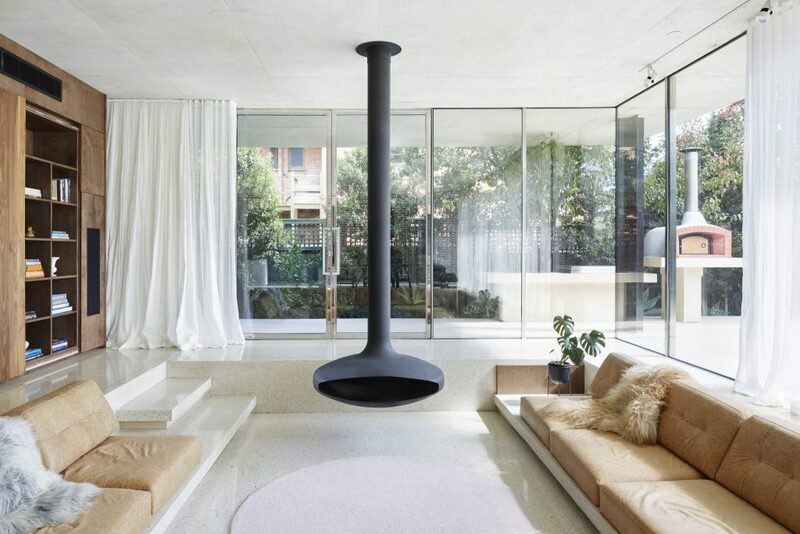 Killara is an outstanding example for a residential alterations and additions project. 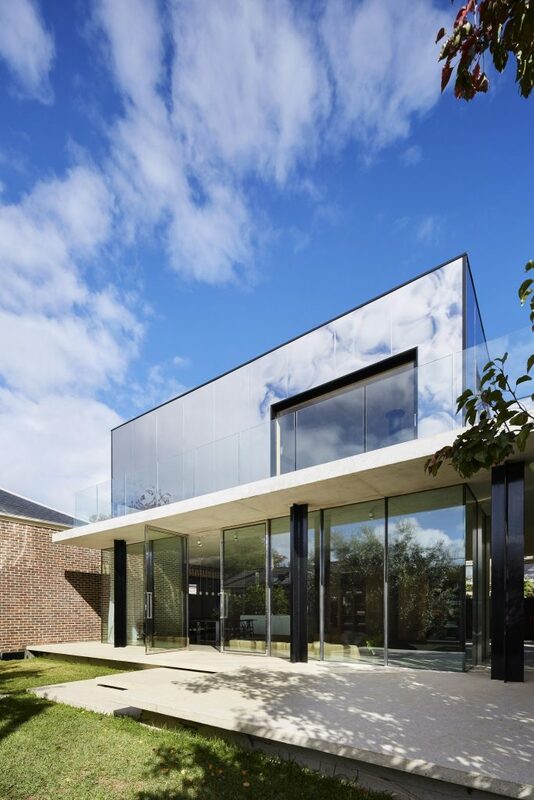 It skillfully responds to the existing building with excellent planning and design, respecting the heritage house while touching it lightly at the frameless glass junction. The new extension itself features a bold modernist design, with contemporary material selections and detailing – highly innovative in many ways, like the mirroring steel finishing on the outside. Junctions are resolved with much care and detail. Even services have been integrated effortlessly into the design, making them invisible. 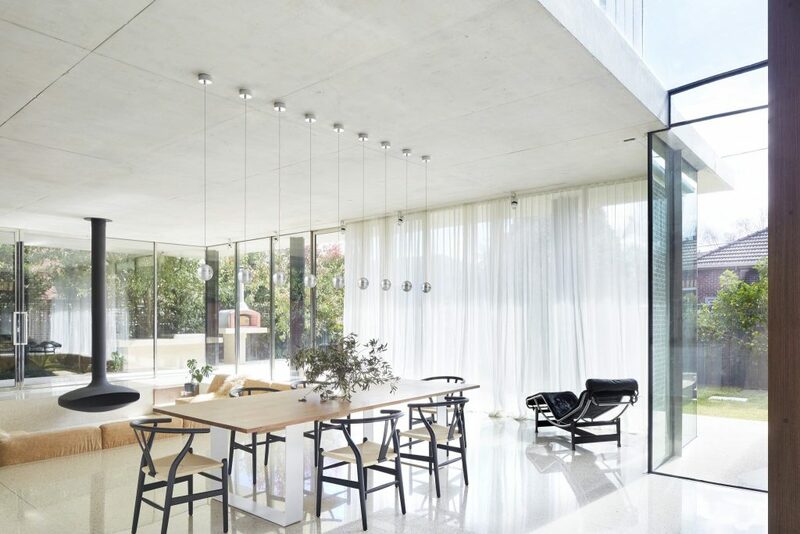 The floor-to-ceiling glazing appears almost non-existent, and adds to the excellent detailing of the seamless connection between indoor and outdoor. The beautiful outcome makes this a top winner. The interior of this outstanding project showcases great technical skills, deep respect for heritage architecture and a design sophistication. In the most sensitive way, the original interiors of the magnificent 1850 residence have been meticulously restored back to life. The new section of the house combines modern detailing with a timeless minimalist palette across a clever layout. 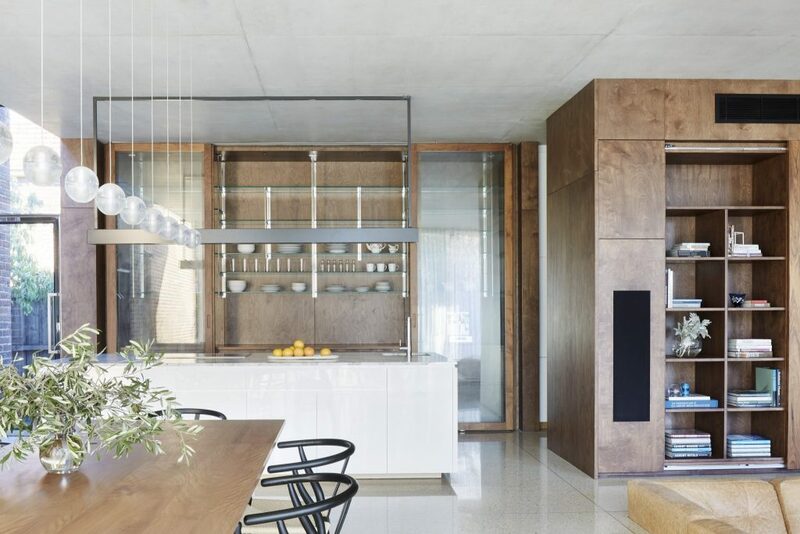 Most noteworthy is the excellent technical resolution to connect the old brick home to a modern pavilion house in a transparent and seamless way. The exterior elements are carried effortlessly and beautifully into the house, further highlighting the minimalist aesthetic that has been intended for the project. Beautifully resolved, internally and externally – a novel play on a reflective ‘box’. The innovative use of reflective steel sheeting as façade material – which is the focus of this design response, heralds the material, and produces a whimsical addition to the existing home. The elegantly detailed ‘Miesian’ columns and external window joinery demonstrate an attention to detail and skill that speak to technical expertise and a strong design capacity. In its entirety, an exquisitely-considered and refined home, demonstrating an innovative, first principles approach that has been carried through to completion.